inspiration | Expressions of my life - An evolution of art. Winners have the privilege of awarding the next awardees! 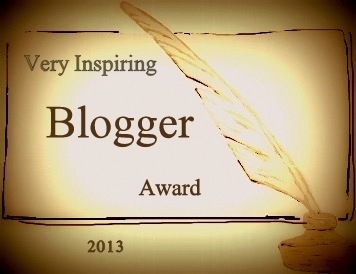 The re-post should include a NEW set of people/blogs worthy of the award; and winners tell them the great news. ▪ What makes a good acceptance speech? First I must give thanks to this wonderful kind-hearted person whom nominated me for this award. This is the type of thing that truly deeply touches my heart. If I could take all the weak, hungry,broken and down hearted people of our world and fix, mend console or for a lack of a better word embrace with loving arms I would. that changed my life forever, and to be honest with you, 99% of them are horrid. Death, Loss, confusion, panic and sadness. Then I started to think about well if that’s my life then why would someone nominate me for this most amazing award and it came to light. 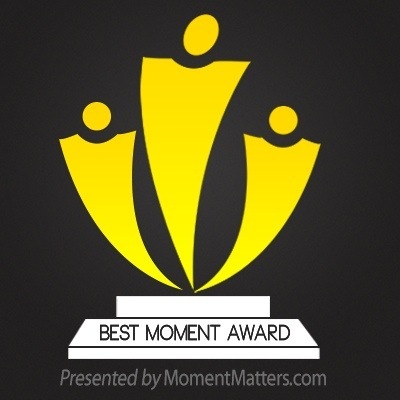 Yes the moments matter, but I think what the really important part about this award is about is what you do this those moments. Because of the things that I’ve experienced in my life I have chosen a path of friendship, love, compassion, healing and honor. I make a conscious effort to effect change in my life everyday. I when I say my life im not always talking about me personal. “my” life touches many people, people in the blog world the Art world and in my day-to-day physical life. So how am I effecting change in my life without changing anything about my life. I’m making the world a better place for others in hopes that their lives might be better in turn making everybody life a little better and so forth. Sure we could talk about how great it made me feel to hobble across the street the other dat and help a little old lady across ( true story). Or how good it makes my heart feel when during Christmas last year I gad the Union Gospel Mission enough “new” hats, gloves and scarves to heat an army. Yes giving and helping others makes me feel good. It should make everyone feel good. So when asked what moments matter to me, I would say all of them, every smile, hug, handshake and kind word I can shake rattle and roll out of this body. Every sunset, flower, smell of fresh-baked cookies and the smell of the sea or a fine country field, those moments matter. So in the spirit of this award I’m going to nominate some blogs, some of these people are “no award zones” so on purpose I might be a little vague but I think it important that they at least know that I think highly enough of them as human beings to nominate them for this award. Okay so the next time I get nominated for an award im going to copy and paste every single blog I follow, because I actually feel kind of bad that I need to stop. I’m sure I’m way over the 7 or 15 or what ever random number I’m supposed to stop at. Every blog I follow has touched me in a way that made me stop and think and just think about that. what kind of gift these people have that they can stop time for an individual, the one thing that everybody wants more of and nobody can truly has to give you more of. Then on to the business at hand in going to make it 8 questions instead of seven: things about me. 3. 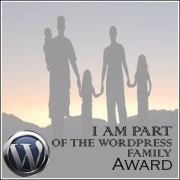 Despite hosting a blog where I bare my soul, I’m the flesh I m very reserved and cherish greatly my times of solitude. 6. My paintings draw inspiration from nature, human struggle, emotional conflict and a passion for oneness with my medium. 7. I collect art, shoes, watches and vintage ties. 8. I believe it is possible to love in many ways, many things and people in life as I believe that as an “old soul” many of us have met before. There are so many more I would like to honor but for today this is the list many of the blogs I follow are award free zones so they are not named above, but they are in my thoughts as I make this list. May love and light guide you through this life, give your heart rest and your soul peace.